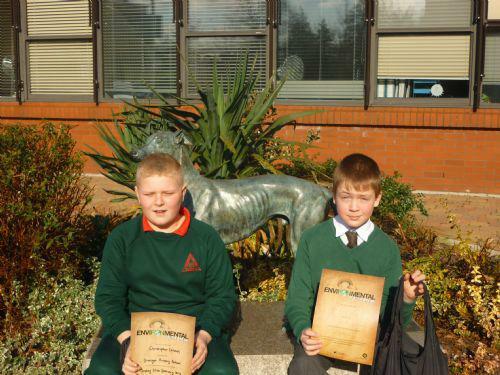 Well done to our two P7 pupils who represented the school at the local heats of Environmental Youth Speak 2013 on Monday 25 February at Craigavon Civic Centre. The boys had to give a 3-5minute talk on the topic-' My waste's got talent: What can it become?' They did a super job and were presented with a certificate and a recycling 'goodie' bag!